Ear deformed as a consequence of an haematoma. Found in a fattening pig at an abattoir. Ear haematomas are a consequence of traumas due to ear biting, violent shaking of the head due to an intense itching (e.g. mites) or because the pigs have been grabbed by the ears. Ear haematomas can be seen in several stages: initially, the space between the skin and the cartilage is full of a bloody fluid. Later, that space becomes filled by fibrous tissue. 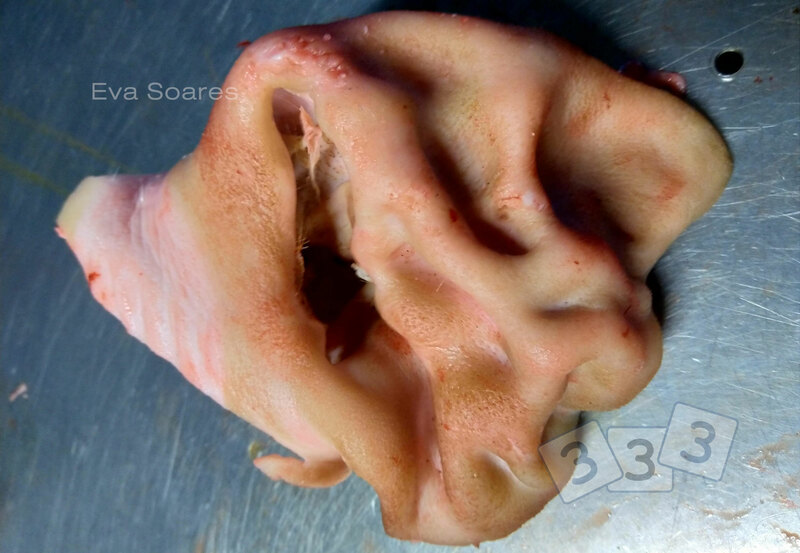 Lastly, there is a skin and cartilage shrinkage, giving place to a deformed ear, such as the one in the picture.